Preparing to give a competitive Exam? Here are a few Tips!!! If you are coming to Kota for your Engineering or Medical aspirations, this article will provide you with the tips and Preparation methods for cracking JEE Mains, Advance, AIIMS and EET exams. You have consciously taken a decision to spend one / two years of your precious life in preparing yourself for the most competitive exams in the country (IIT-JEE/NEET/AIIMS, etc. ), You are left with limited time to prepare and hence you need to be feeling motivated all the time. Surround yourself with people who can challenge your status-co and help you achieve your goals. There are various Coaching hubs in the Country for Medical, IIT, CA, etc like Kota, Indore, Hyderabad, etc which helps you stay focused due to like minded Peer-groups in these places. With over 2Lakh students aspiring for IIT-JEE Advance, NEET and AIIMS exams living within a radius of 4-5kms the coaching institutes in Kota provides you with right mind set for success. Record your difficult formulae or topics and listen to them often on your phone or music player as it gets registered in your sub-conscious mind. You may still have not realised your best learning methods. So please ask and observe your friends on what is the best learning method and you can change your method and see. This is very effective. And once you have identified your methods then plan a routine and stick to it. Do it for 21 days in straight. It will become a habit without you realising. The top IIT and Medical coaching institutes in the country like Allen Career Institute, Resonance EduVentures, Bansal Classes, etc have understood the success mantra and have created a system for cracking IIT-JEE, NEET and AIIMS. 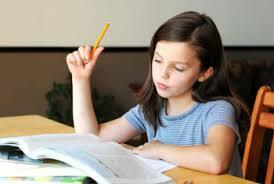 Hence it is important to follow the classes regularly and complete their home works. If you just follow this system, your success is evident. Constantly remind yourself on why you are doing this and what all challenges you have overcome till now. Have a motivational photo frame of a famous quote or your role model in your room that u see every day. Eat Healthy and sleep enough. 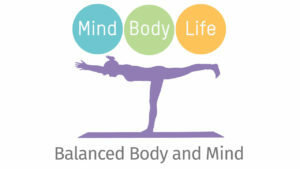 A healthy mind and body is the most important parameter that takes you closer to your goal. Take care of your body and mind. Keep yourselves away from diseases (check our previous blog on “winter is coming”). Please find the below simple meditation technique for improving focus used by the monks. The place where you stay during your preparation also plays a vital role in your success, hence choose a comfortable, Hygenic and motivating hostels. Do check our blog on facilities to consider before choosing Hostels in Kota. Your teachers and coaching management have been through the system of creating results for years now, and hence give your 100% in listening to their methodology during your time in the coaching (6-7 hours in a day). Trust the system a 100%. If you don’t trust your teacher then you are creating a mind block for learning and this will hinder your motivation and mind frame. Be open to challenge the views of your teacher but never run into a decision of not trusting the system. It is ok not to like a teacher, But it is not ok to lose interest in a subject because of a teacher. During your preparation time, if you are not at home, it is extremely important to choose a nice hostel with a good environment as it creates good vibes and help you stay focused. Since you are spending around 18 hours outside the coaching every day. What you do in this 18 hours will definitely play a major role in realizing your goals. Make sure find a Mentor who can listen to your issues and guide you in the right way. Check our blog on 6×18 rule. This entry was tagged preparing for IIT, student life kota. Bookmark the permalink. ← Tips on how to be Safe during the Winters? Thanks Vinnu, We post a lot of student related articles on Quora too and on our Youtube channel recently.